This January the garden retail sector came together for a day of ‘Orse Racin’ in aid of a landscape charity event with the Greenfingers Charity, helping to kickstart the annual GCA Conference. Taking place at Luton Hoo Hotel & Spa, over 40 people joined in the fun, with garden centres (Pansies) being pitched against suppliers (Cabbages) in this special horse racing event, organised by dedicated Greenfingers supporters, Woodlodge. Throughout the afternoon the adjudicators had their work cut out as tensions ran high, with competitors needing to wind in their wooden horses fastest to win. The eventual winners were Team Pansies, as announced at the GCA Awards dinner on Tuesday evening. A cheque presentation also took place, when Greenfingers Chairman John Ashley and Director of Fundraising and Communications, Linda Petrons were delighted to accept a cheque for £6,500. 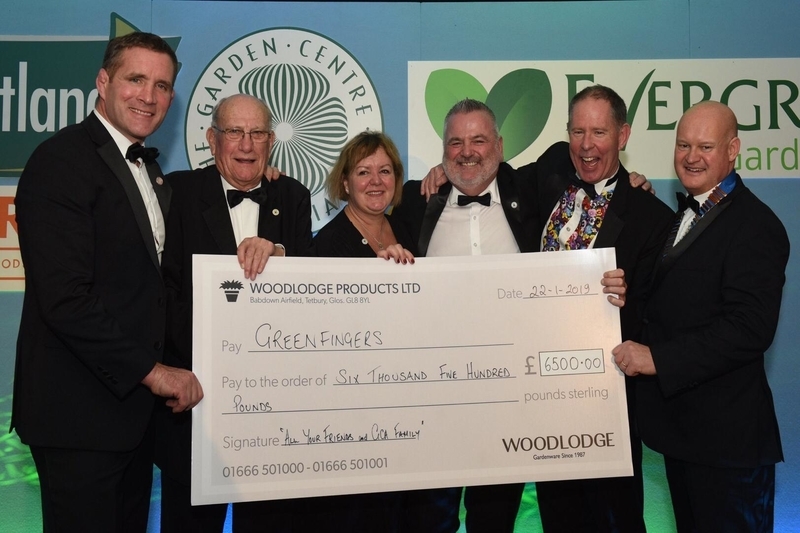 The amount raised for the charity was further boosted by a “shoe swap” at Tuesday’s black-tie event when Woodlodge’s Ian Flounders sold his shoes to Andrew Simpson of Simpsons Garden Centre, for a whopping £2000, bringing the total raised at the Conference to £8,500; a significant sum that will help the Greenfingers Charity to build even more inspirational gardens throughout 2019. At the Conference, John Ashley took to the stage to share details of the charity’s plans for its 20th anniversary year. 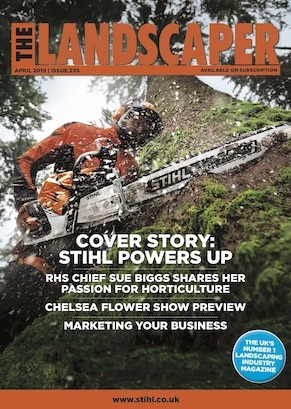 From Garden Re-Leaf Day (March 22nd) to information on the four new hospice gardens that will be transformed in 2019, as well as first ever Greenfingers Charity RHS Chelsea Flower Show garden. Linda Petrons, Director of Fundraising and Communications at Greenfingers Charity said: “We are enormously grateful to everyone that took part in the fundraising activities, as well as all those who dug deep throughout the GCA Conference. The team and I are constantly amazed by the generosity of our supporters, so thank you to all. 2019 marks a big year for the charity so being able to kickstart it in such style has been wonderful. We can’t wait to share more details of our plans, and for our friends, colleagues and supporters to join us as we journey into our 20th anniversary year which is set to be another magical one. To find out more about Greenfingers Charity please visit www.greenfingerscharity.org.uk. You can also join in the conversation by joining Greenfingers on social media – https://www.facebook.com/Greenfingerscharity/, @GreenfingersCha on Twitter, and @Greenfingerscharity on Instagram and LinkedIn.